I love, love, love cooking big, hearty meals and running the oven all evening long in the winter but in the summer, minimal kitchen time is my preference. 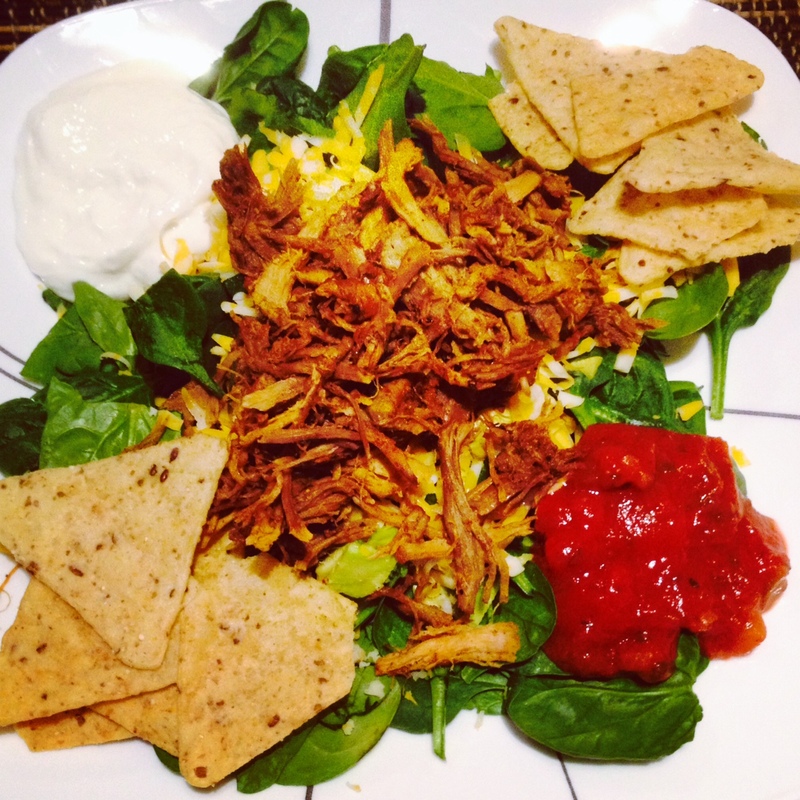 I want meals this time of year to be quick and simple while still light, fresh and delicious. I also think that ice cream is a main food group in the summer, but that’s neither here nor there. I’ve made this Crockpot Honey Garlic Chicken several times since posting that recipe and used it a gazillion different ways. It’s good in a sandwich, on a salad or with brown rice and steamed broccoli. So versatile and delicious. I’ve had a major seafood craving lately and I can’t stop thinking about this insane fish and chips sandwich. My Main Taste Tester doesn’t like fish, so I don’t even have to share. It’s happening soon. I make huge batches of these roasted veggies (grill them to avoid turning on the oven!) and toss them with cooked quinoa, feta and a little extra pesto. We love this meal and have it almost weekly. 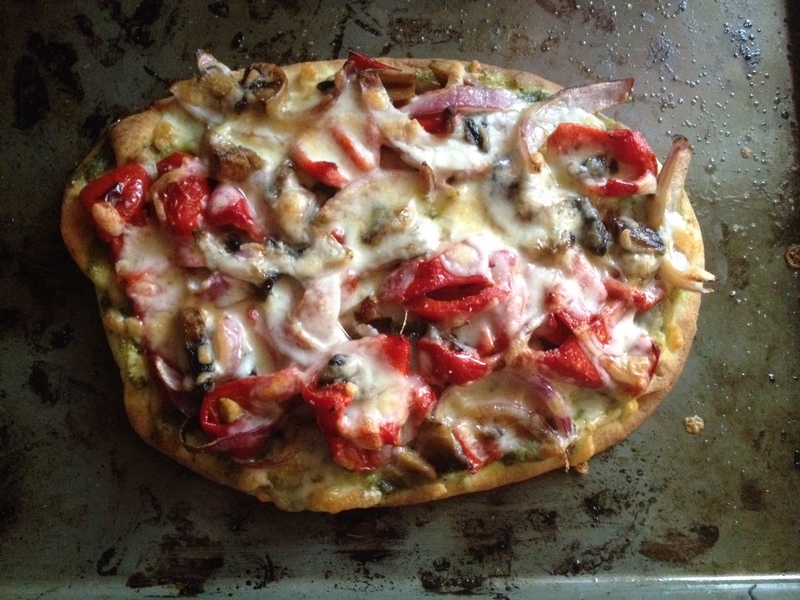 Or, you could take those roasted/grilled veggies and pesto and melt them on top of naan for a quick “pizza” . We also recently had burgers wrapped in naan breads instead of a bun to change things up. It was a good decision. Might I suggest Tom’s Burgers for your next BBQ? I have a green smoothie almost every morning for breakfast. My latest favorite summery combo is 1 cup orange juice, ½ cup kale, 1 cup spinach, ¼ cucumber and 1 cup watermelon or pineapple chunks. Such a refreshing way to start the day. This Stovetop Taco Quinoa has been on repeat. I’ve also made it with rice when we were out of quinoa. Still awesome. My Main Taste Tester loves this granola, and I’ve made it weekly for months. I know you have to turn on the oven, but make a double batch so you’re good for a while. It’s the best in a parfait with yogurt and berries. I also sprinkled it on vanilla ice cream once and almost died. Speaking of ice cream, people will flip out if you make them these ice cream pie bars. Recently I made this recipe into individual ice cream cupcakes and they were devoured on the spot. I love everything on this blog and this chickpea salad is no exception. It makes the simplest lunch or dinner with a little bread on the side. 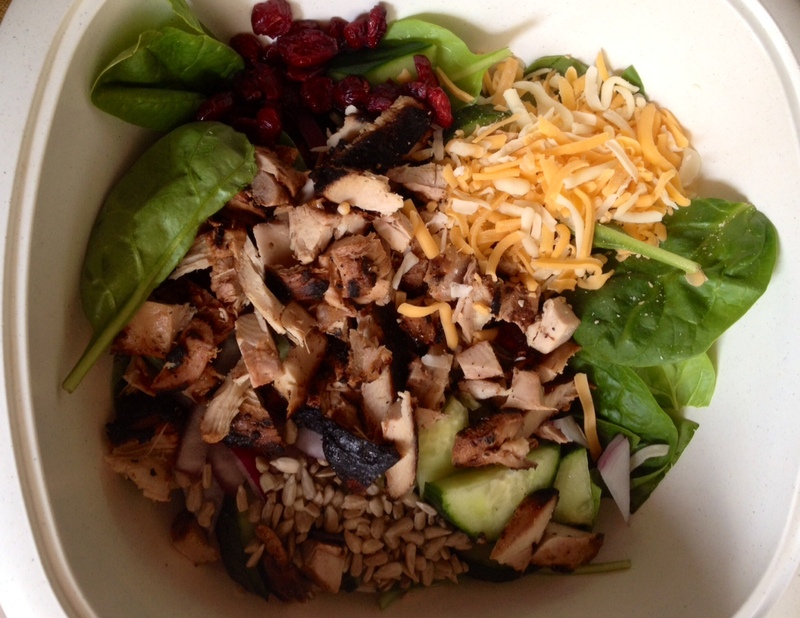 I often make loaded salads for lunches and suppers and throw in all the good stuff. Pretty much anything goes. The key to keeping salads appetizing for me is having different ones all the time. Next on my list? This salad. I also use the salad dressing 101 chart in that post when I want to make my own. Super useful. On my summer cooking bucket list? I want to grill dessert of some sort. Oh, and next week I’m going to grill a pizza. If it goes well, I’ll tell you all about it. And if it goes terribly, I’ll probably still tell you all about it. Happy Summer! Tell me what you’re eating lately!